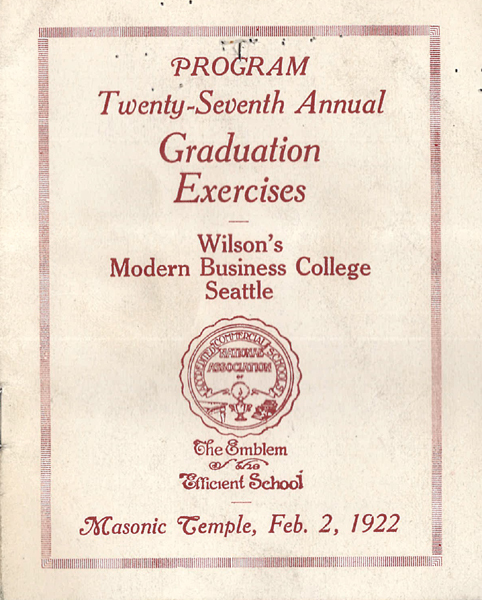 “Wilson’s Modern Business College Program,” 1922, Chinese Exclusion Act case files, RG 85, National Archives-Seattle, Mah Sun Inng file, Seattle, Box 1225, Case 35100/4978. Mah Sun Inng was born in Bak Sar village, Sunning District, China about 1901. He was the son of Mah Sin Dung, a merchant in Vancouver, British Columbia, Canada. His mother lived in China. 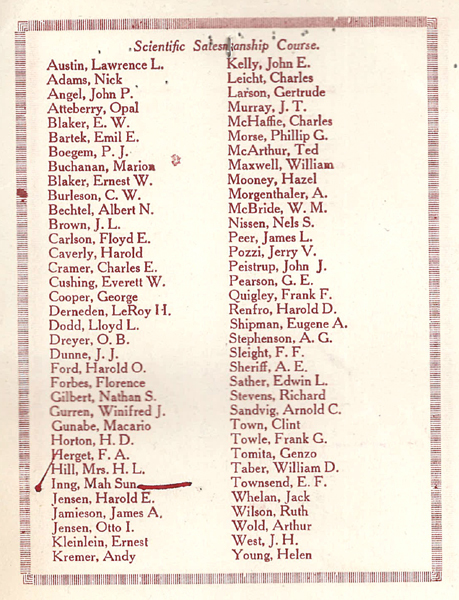 Mah landed in Seattle in 1919 and was admitted as a Section 6 student. After graduating from Wilson’s Modern Business College in February 1922 from the bookkeeping course and the scientific salesmanship course he became a merchant for Quon On Company on 660 King Street in Seattle. He had worked there part time as a salesman while he was going to school.